You can hear the voices in your head when you read these quotes. They’re from persuasive, impassioned speeches given at exactly the right moments in time to make history. These indelible moments came from the speakers’ heart and deeply connected with their audience. They didn’t come from winging it or reading line by line. Their speakers were well-prepared and informed, so the words just flowed. In those brief moments, the speaker crossed an invisible divide to build a relationship, connecting with the audience’s hidden concerns and emotions. That’s the bond F&I must make with today’s consumers—a profound connection with the right information gained through streamlined processes that use technology tools to master the material, extract the important concerns, and demonstrate the desire to meet customers’ needs. It may sound fundamental, but you must understand how to connect to the buyer’s mind, needs, fears, and passions to make the sale and deliver a meaningful experience. In F&I, engaging customers as if you know personally them improves product penetration and per-vehicle retail (PVR). Making a connection may also lead them to a lifetime of loyalty to your dealership, brand, and you as a lifestyle concierge. In F&I especially, customer communication must be persuasive and insightful because buyers seldom understand why buying one or more products is valuable to them. Walking customers through a needs-based F&I presentation can help increase product sales frequency and the number of products sold per deal to three or four, increasing PVR. Even after consumers have researched online for 15 to 17 hours, many arrive at the dealership still not knowing everything about their vehicle of interest. The same applies to the F&I process. Educate buyers about F&I products online, before they visit the dealership. They’re more likely to purchase them when given an opportunity to research and understand their value. Develop an aftermarket products specialist to explain to in-store shoppers why the dealership offers these products, and how they benefit consumers. Engage consumers in decisioning tools that analyze deal factors—demographics, vehicle payment, credit rating, risk profiles, and others. These tools build layered business logic that identifies consumers’ needs by analyzing driver profile, vehicle, manufacturer’s warranty, risk profile, deal structure, and other data points. From this, the system builds a menu of available products that consumer input identifies as having the most value. Fortunately, interactive e-menus and other engagement devices, including self-paced lifestyle e-surveys, enable customers to peruse and evaluate aftermarket offerings. The survey results from these tools’ built-in predictive analysis, helping consumers choose the products they find most valuable. This process automation lets the dealership focus on building relationships with customers. The typical customer engagement gap in F&I is unfortunate, but can be closed with the bridge provided by modern F&I platforms. Not only does it shave time off the F&I experience for customers, it also engages them in thorough, needs-based aftermarket products presentations. Customers exposed to this F&I experience typically buy two or more aftermarket products that drive up PVR. Consumers embrace these technologies and feel comfortable using them, perceiving the dealership as more modern and inclusive. Learn about customers’ risk thresholds and match them to the protection products offered. Gain insight into customers’ driving habits and ownership plans as clues to buying behaviors and interests. Knowing this information early in the customer’s journey—before they step into the F&I office—can help tee up a focused presentation of products the customer is more likely to purchase. Identify new product opportunities—what are consumers asking for or showing interest in that your dealership doesn’t offer? With preparation, your F&I department can build a menu of products the customer will perceive as valuable, allowing them to enjoy worry-free vehicle ownership. Many will want to purchase products such as service contracts, tire and wheel packages, prepaid maintenance, and GAP after learning how they protect their investment and budget. 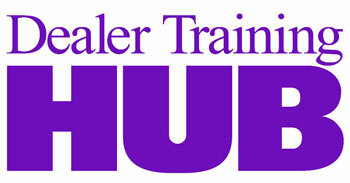 No commitment by the dealer to provide F&I sales training to develop personnel skill and attitude. F&I processes that deprioritize or neglect menu use. Regarding the latter, when an e-menu is used, PVR and production penetration both increase. Our studies show that dealers using our interactive F&I platform realized $538 more new-car PVR, and 12% and 10% lifts in VSC and GAP penetration, respectively. As consumers get smarter, interactive, predictive, and multisensory engagement F&I tools will help deliver an efficient, needs-based Apple- and Amazon-like experience. These tools are available now to do the heavy lifting so F&I personnel can focus on relationship-building. With them, customers are persuaded as if they’d heard a stirring speech, while F&I generates higher PVR and product penetration for the dealership.